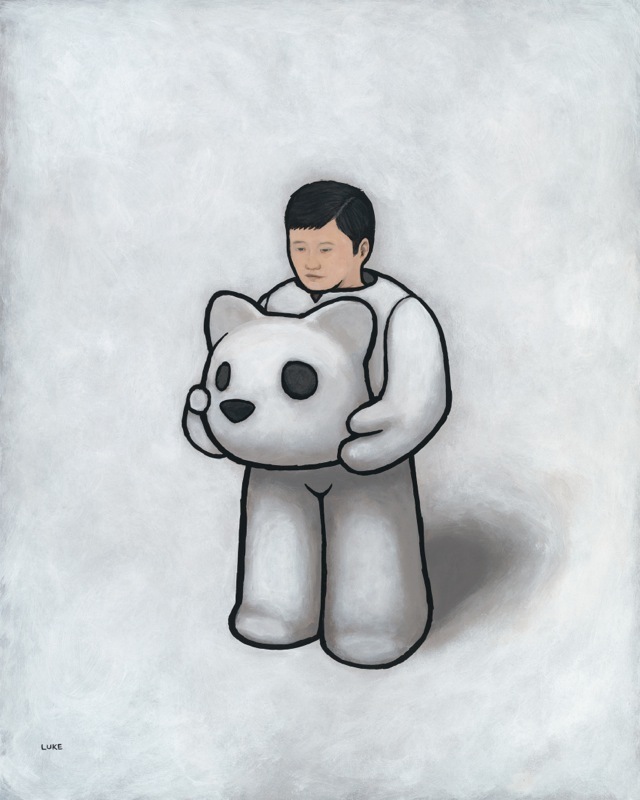 Please Note: Works from this exhibit are no longer available to purchase. 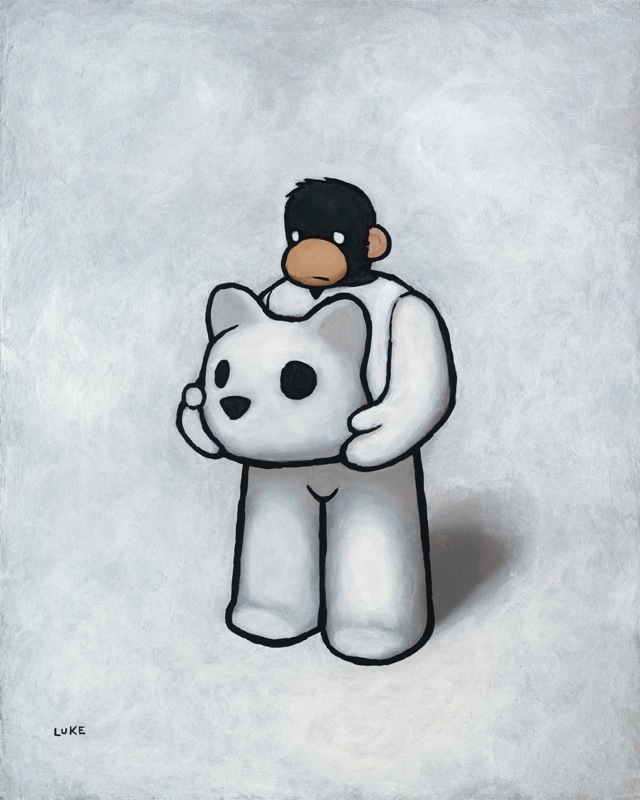 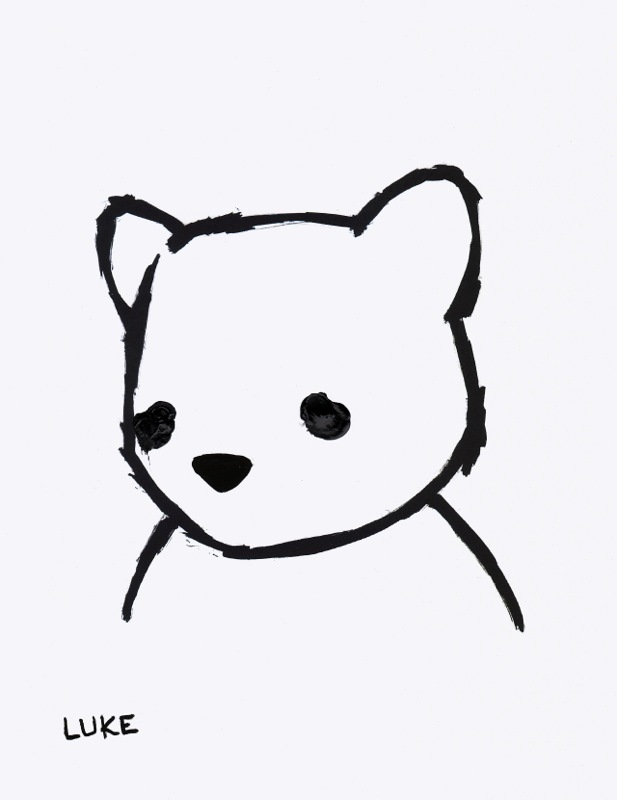 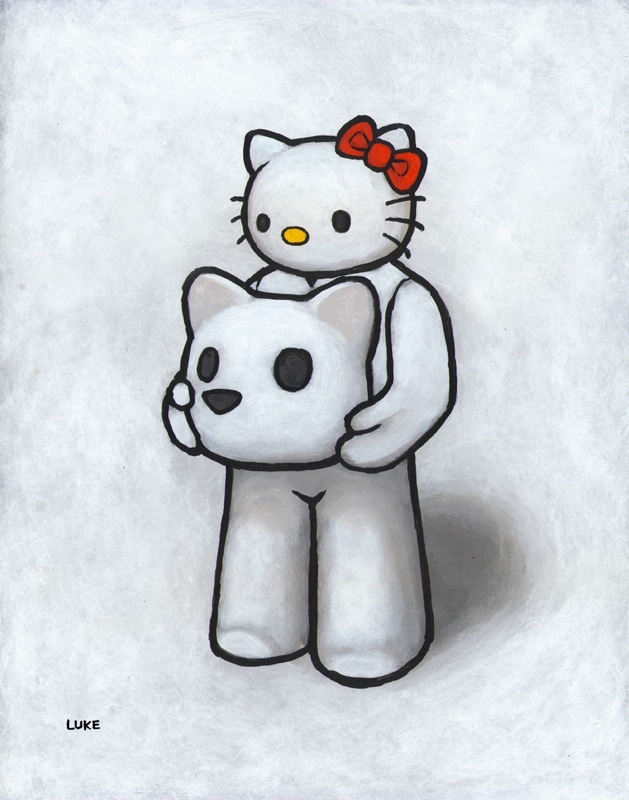 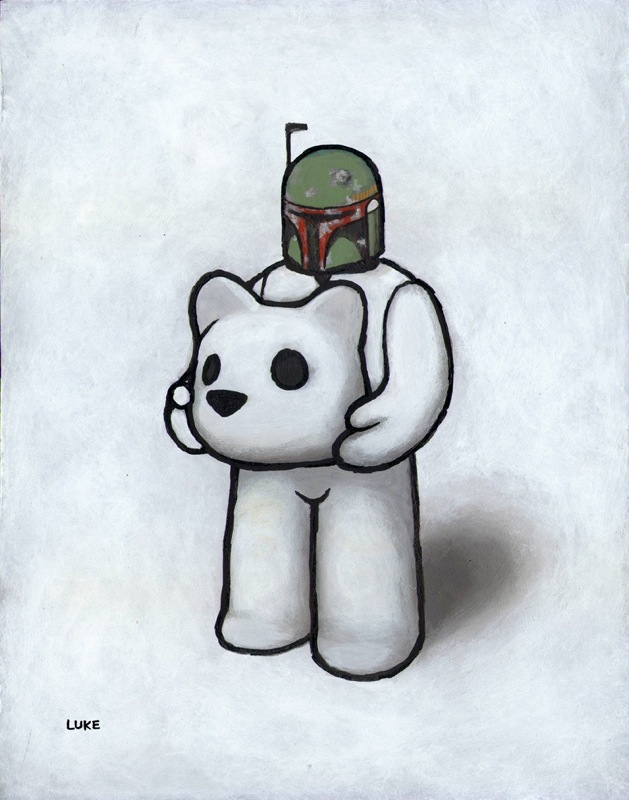 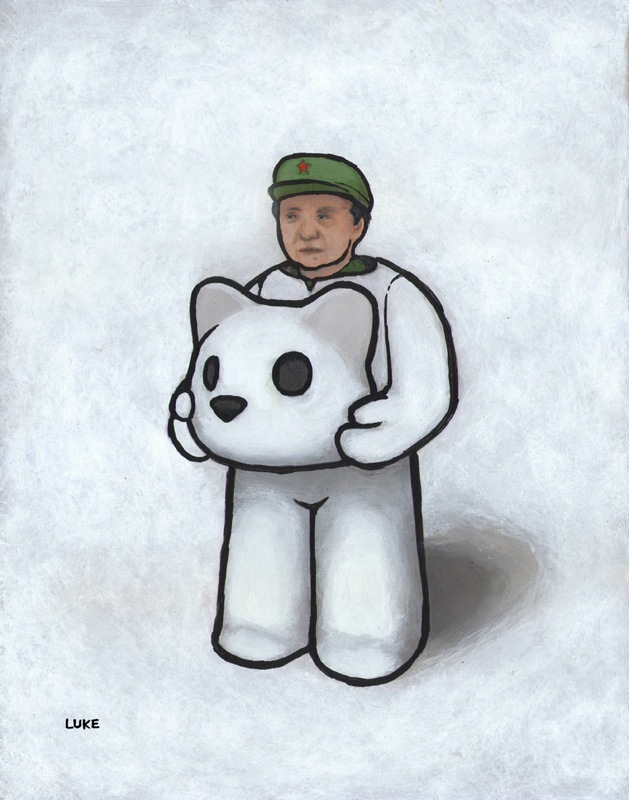 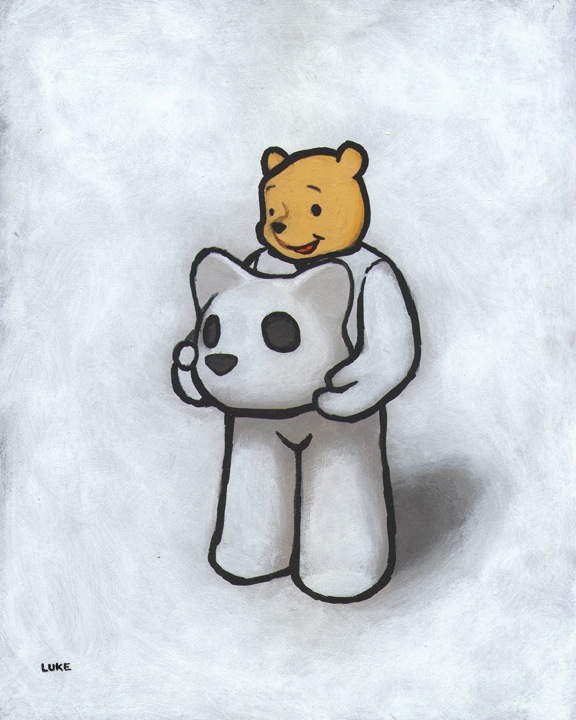 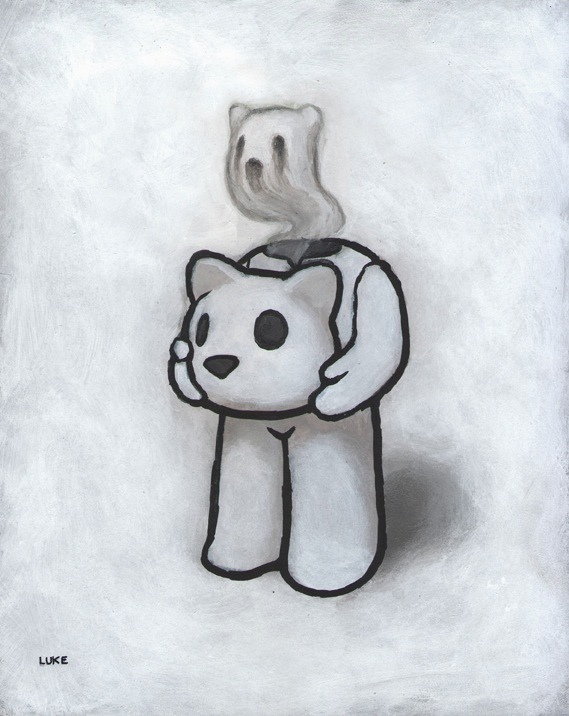 In 2003, Chueh moved to Los Angeles to further pursue a career in design. However, a lack of employment opportunities left him resorting to painting as a way to keep busy (a hobby he picked up while attending Cal Poly). 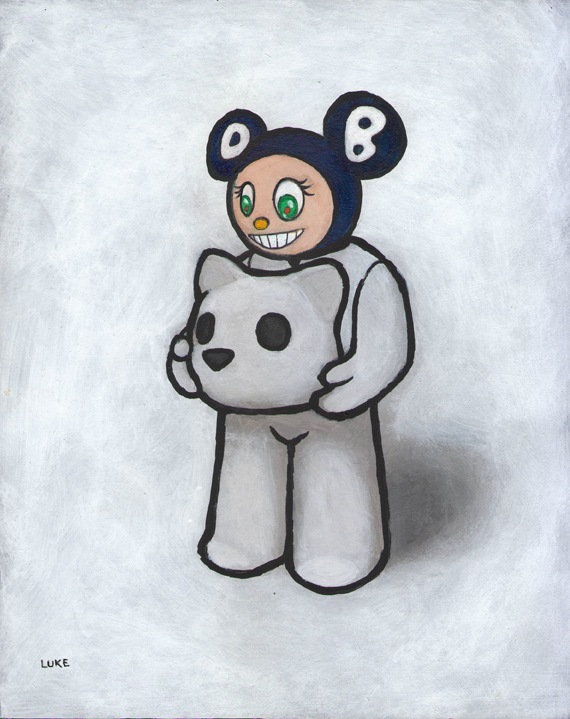 He got his start when the Los Angeles underground art show, Cannibal Flower, invited him to show at their monthly events. 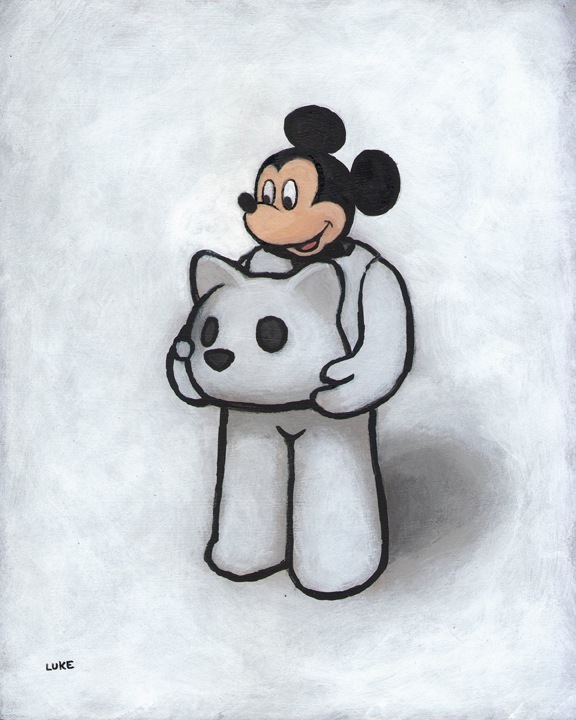 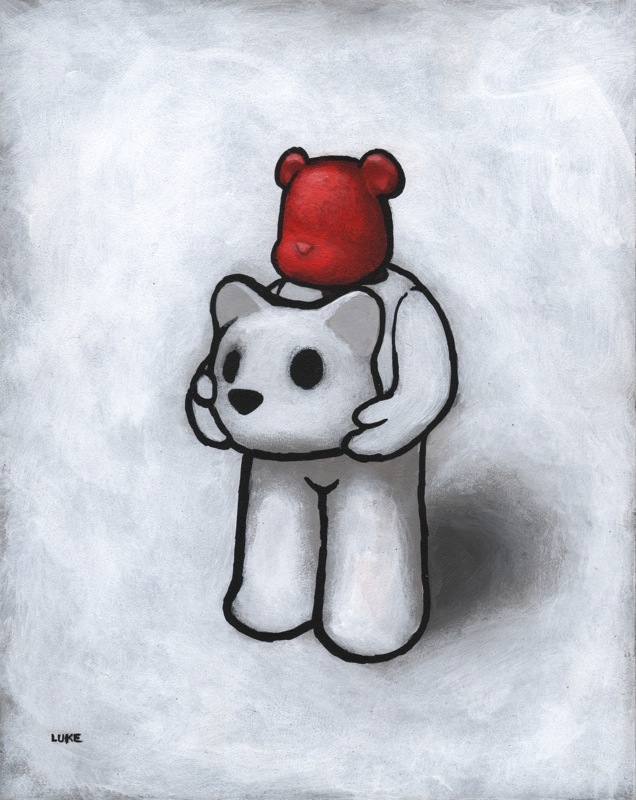 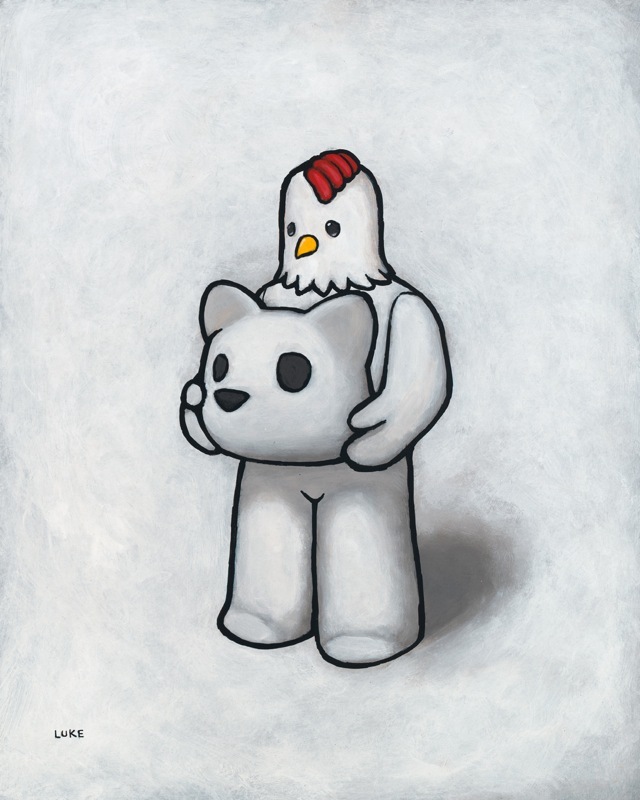 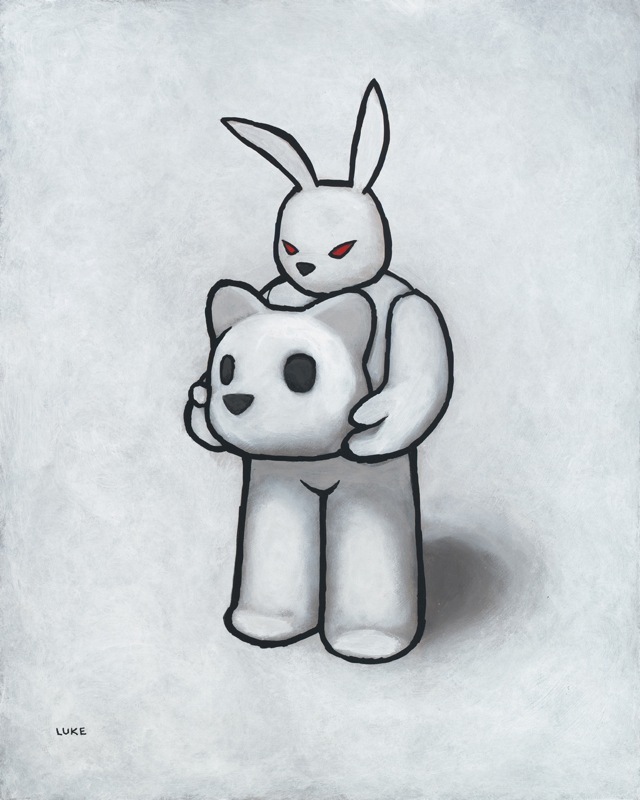 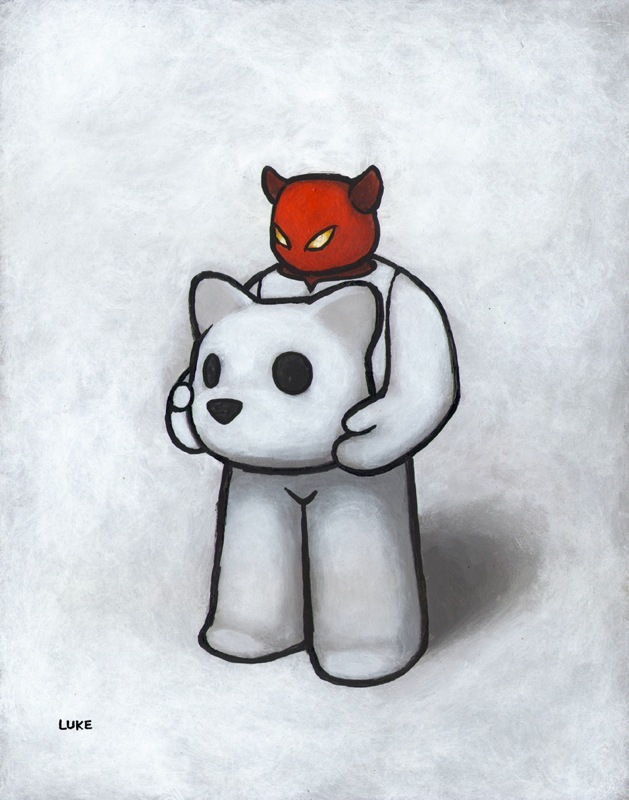 Since then Chueh has quickly worked his way up the ranks of the LA art scene, establishing himself as an artist not to be ignored. 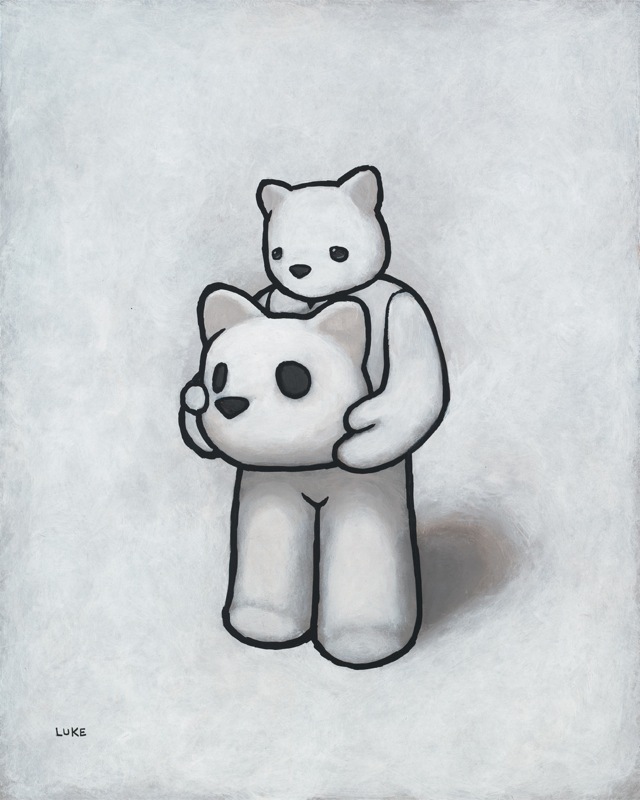 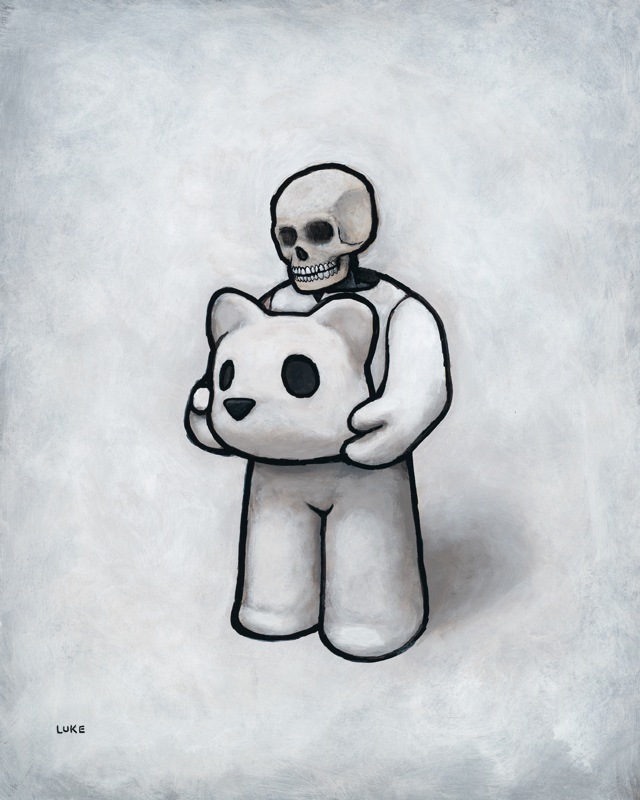 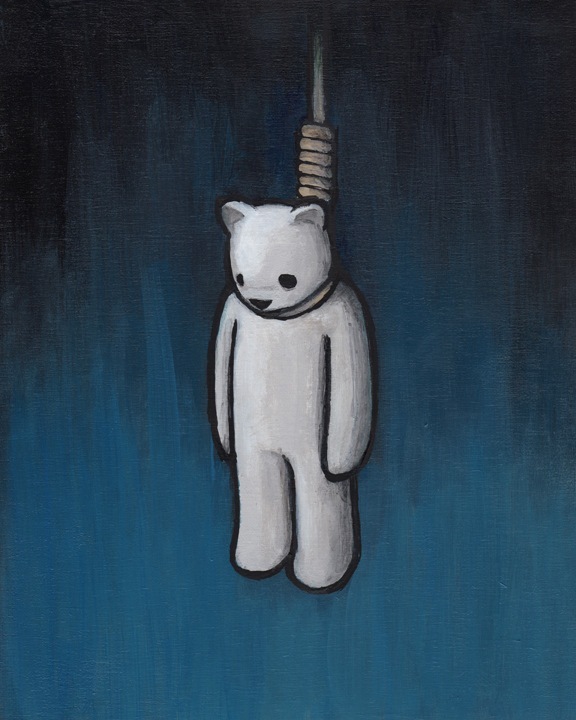 Employing minimal color schemes, simple animal characters, and a seemingly endless list of ill-fated situations, Chueh stylistically balances cute with brute, walking the fine line between comedy and tragedy. 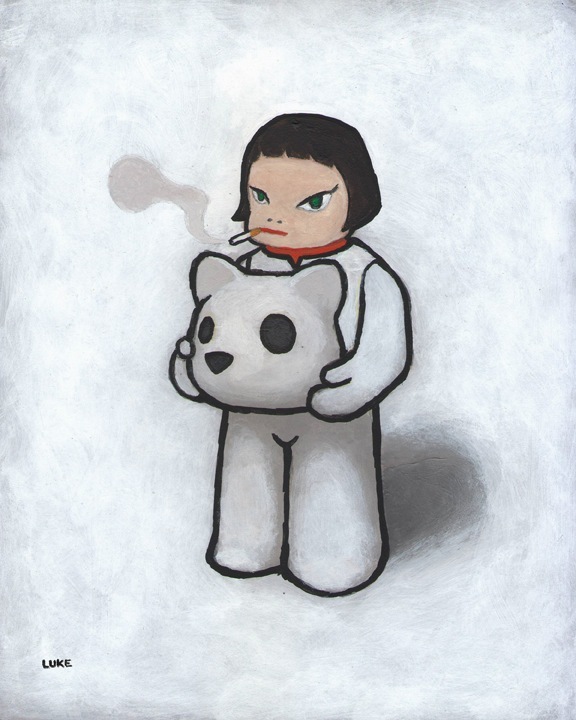 Chueh's work has been featured in galleries around the world, and some of his paitnings have also been reinterpreted into vinyl toys. 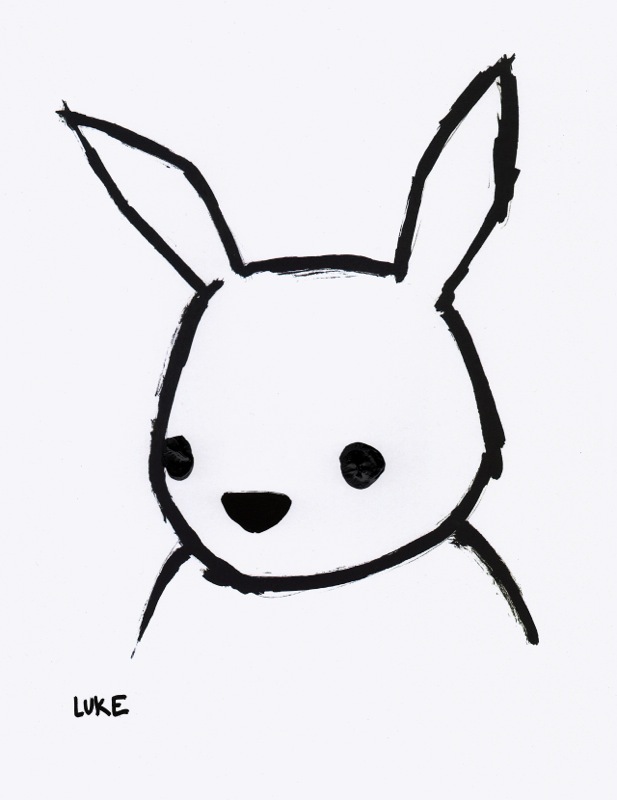 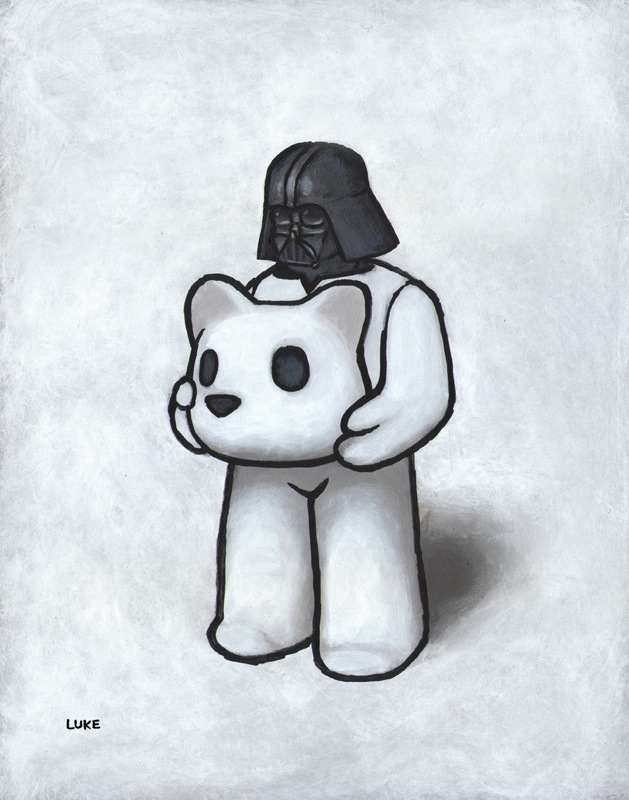 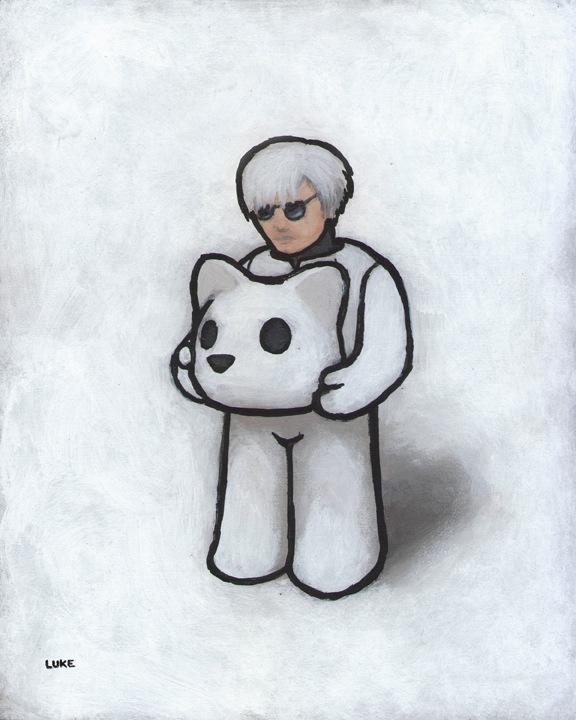 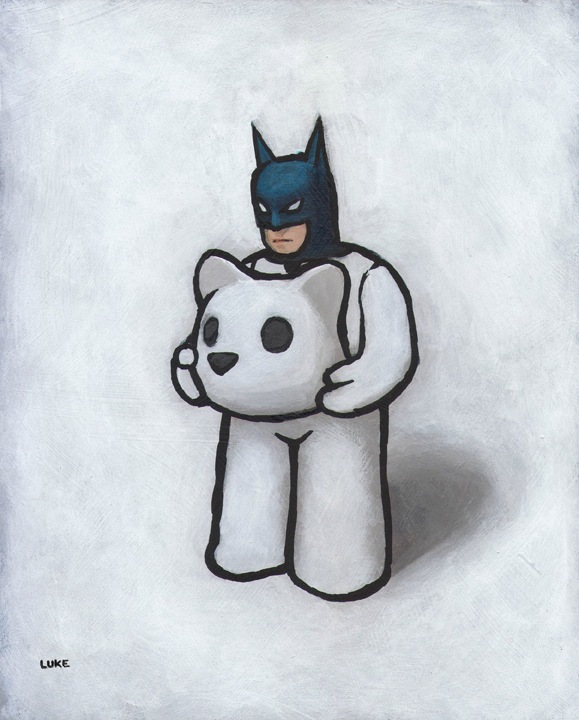 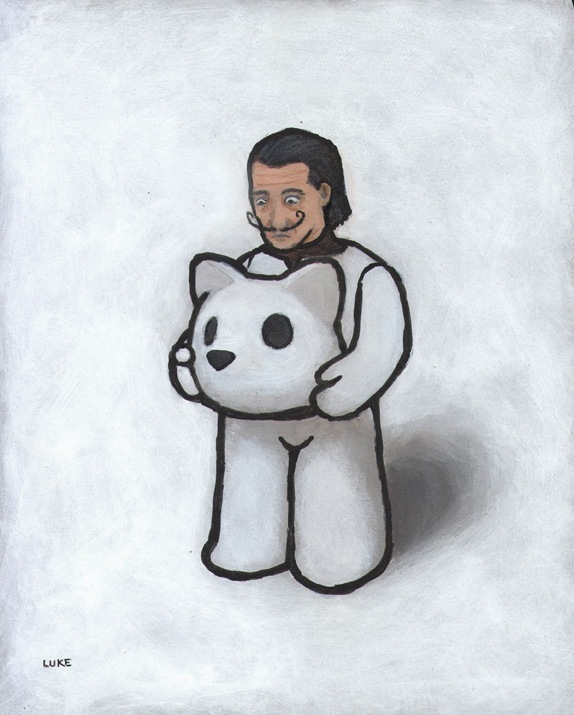 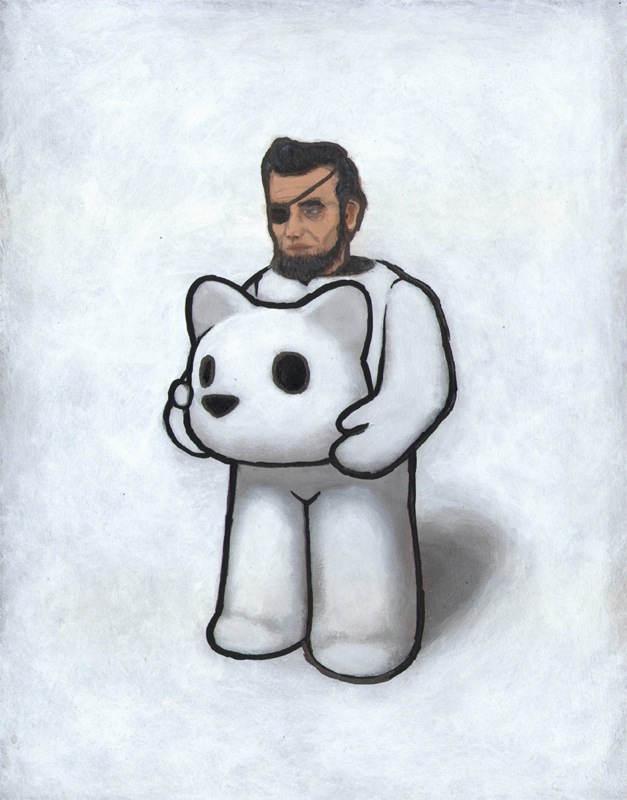 This is Luke's second exhibit at Rotofugi Gallery.